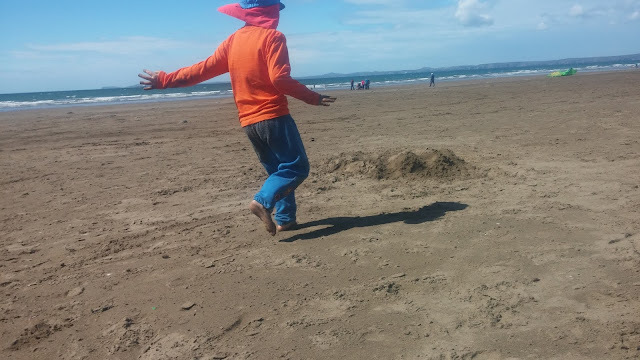 Where Roots And Wings Entwine: It's a beach life! 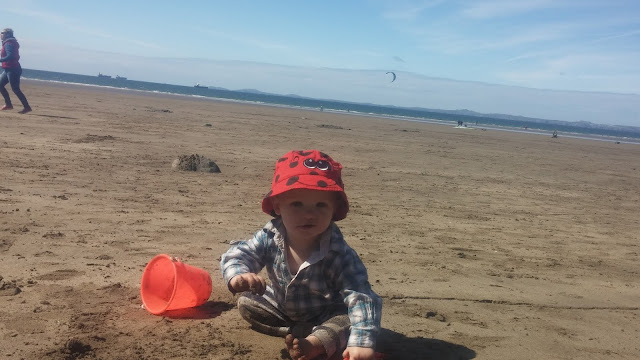 With the nicer weather we have been fortunate to experience of late we have been enjoying visits to the beach. 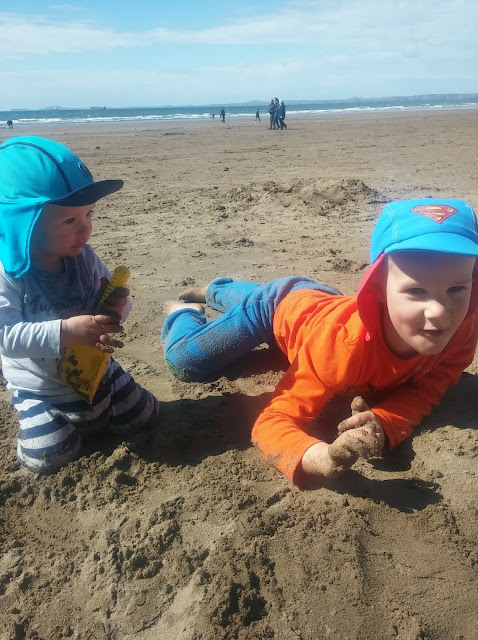 Taking advantage of any glimmer of sun and warm weather we have popped to the beach a number of times of late on the weekend and after school to enjoy the feeling of the sand under our feet as the sun shines down warmly on us. 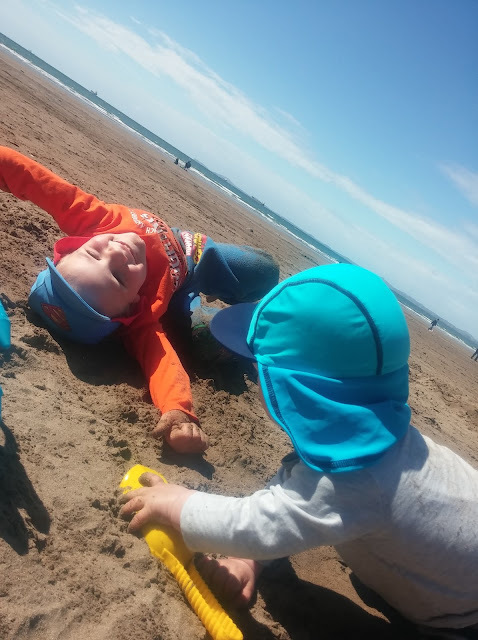 Both of the boys have relished our trips to the beach and enjoyed the fresh sea air as they play. 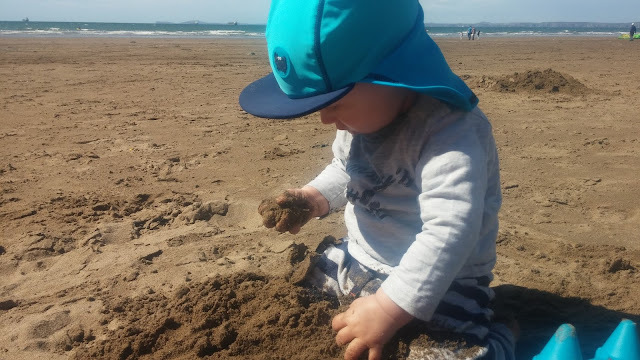 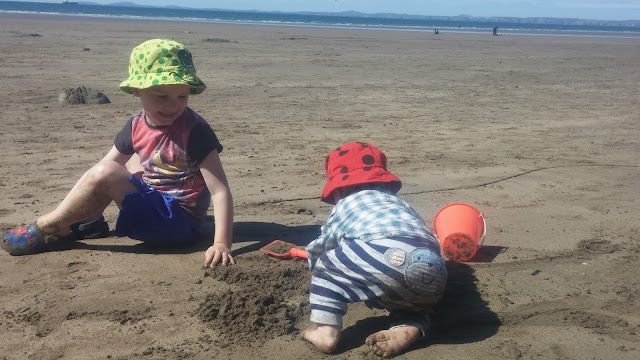 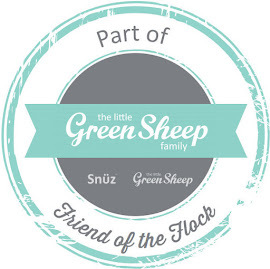 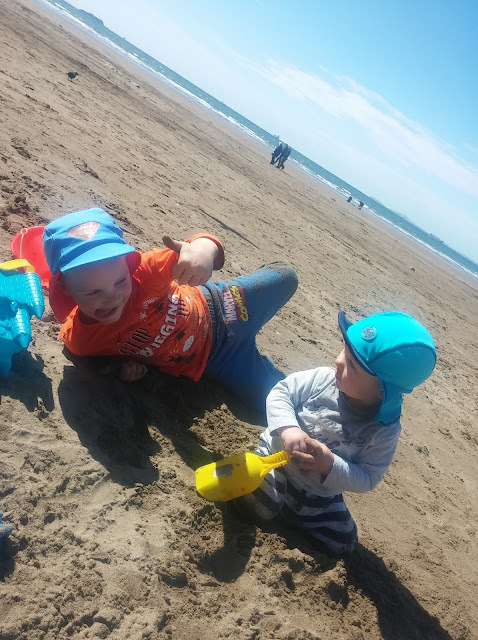 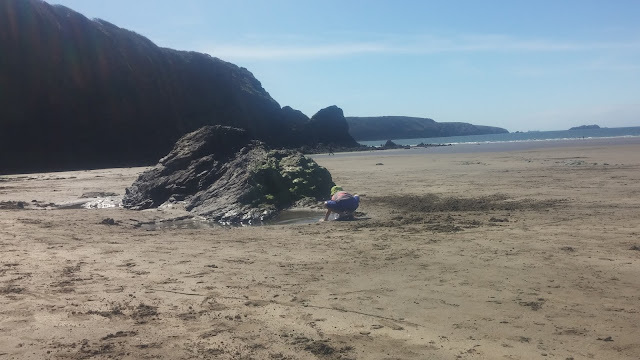 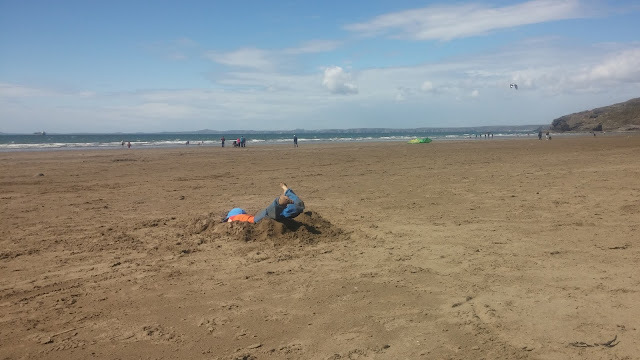 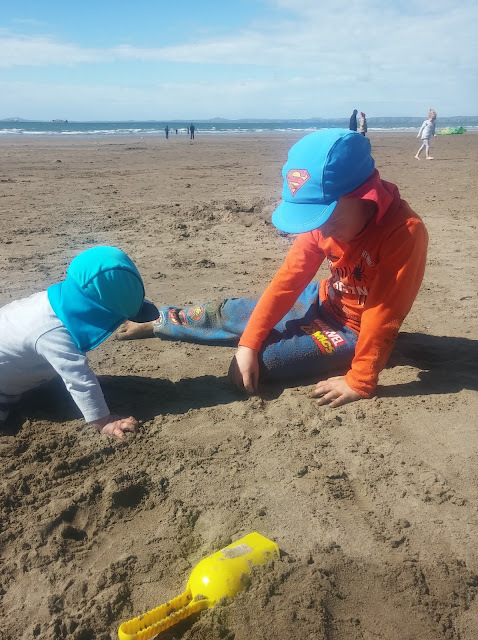 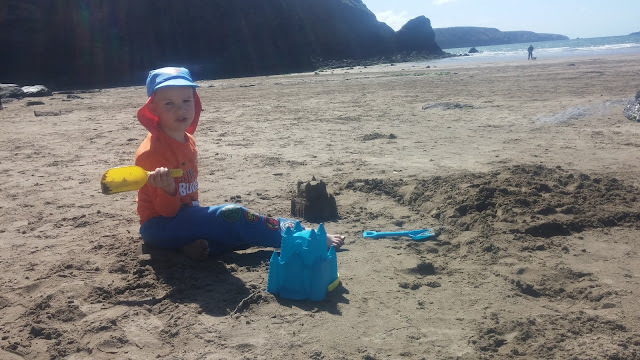 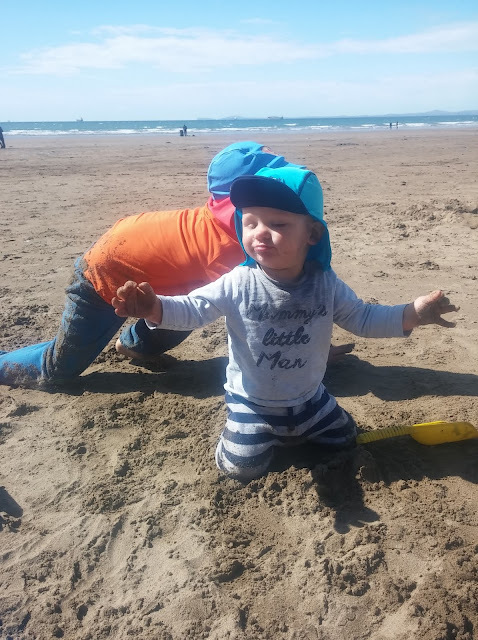 Our recent visits to the beach have given me an insight into our summer holidays together as a family, seeing how this year compared to last year when Jelly Bean was a newborn the boys will be playing together and both enjoying the wonder of playing on the beach and in the sea. 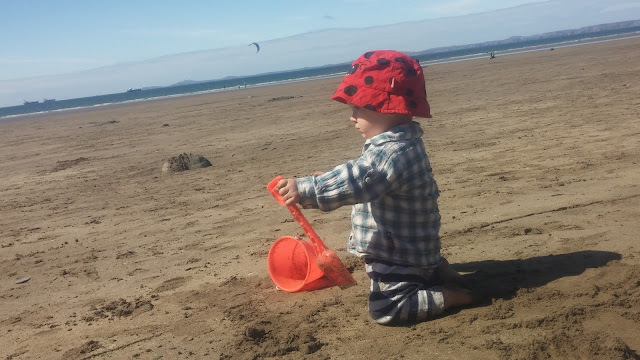 Here's hoping the lovely weather continues and we enjoy a summer of sunny seaside trips.